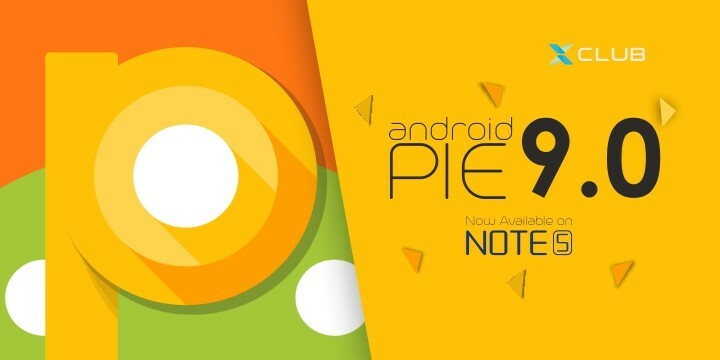 So finally, the Official version of Android 9.0 Pie update has started rolling out for the Infinix Note 5 and Note 5 Stylus smart phones all over the world, and even some users who have gotten theirs are testifying to the speed at which the update came to them, like they weren't expecting any major software updates from Infinix this fast, at least not now. BUT TAKE NOTE - That this software update is not being provided by Infinix. Instead, it is coming directly from Google this time, and reason is because, the Infinix Note 5 and 5 Stylus are both under the Google's androidOne program, so everything that has to do with software updates are being taken care of by Google themselves.. and you know what that means right?. Alright guys, enough of the pep talk, now here's how to update your Infinix Note 5 and Note 5 Stylus smart phones to their respective official android 9.0 Pie software versions. And believe me, these steps are very easy, a lot of us already know how to do it. Go to your phone's settings page, and scroll all the way down until you see the option labeled as "About Phone"
From there, go to "Software Updates" and allow it to refresh.. You should immediately see the Android 9.0 Pie Update file staring at you and waiting for you to tap on the "Download Now" button..
Alright now before you proceed to download.. Please make sure that you have enough battery juice left on your phone, at least anything from "80%" battery should do the job, or if you don't have that, at least make sure that your phone is plugged in to a reliable power source while on it. Alright so if you've made sure of that, you can go ahead to tap on the "Download Now" button.. as well make sure you have a stable internet connection as the download file is approximately 1.3GB in size. After downloading, click on "Install Now" and allow the phone to do its thing.. The phone will reboot at the process, but no worries, they are all part of the plan..
Alright so after a successful installation, well, what more can i say, just go ahead and start enjoying the new Android 9.0 Pie on your phone, just the same way i am doing right now.. #Cheers..
Alright, so if you've successfully updated your Infinix Note 5 to its latest android version which i bet you did, here are some of the new features i think you should try out first..
New Adaptive Power Prioritization for the user's most commonly used apps and services. Predictive App Actions and so much more..
Alright guys so that's it for the Infinix Note 5..but before i drop my pen and say goodbye, i want to take a lil bit more time to address this issue that has being on debate for a pretty long time now.. which is..
Why Are Other Infinix Smart Phones Not Getting Any Update, Why Just The Infinix Note 5 and Note Stylus And Not Others.. Though i already talked a lil bit about this topic above, but i just think i needed to throw more light on it, and here's the reason why. Well the thing is, Infinix made a collaboration with Google to include the Infinix Note 5 and the Note 5 Stylus into its androidOne program.. and being an androidone phone simply means that it will be among the first Android smart phones to get any latest android version and security updates for the next two years. So everything that has to do with software and UI on the phone is being controlled and taken care of by Google, but the phone still belongs to Infinix. While other Infinix smart phones such as the Infinix Hot S3, S3X, Hot 6, 6 Pro and 6X and every other Infinix phones out there are not included in this androidOne program, so they will only be getting a software update whenever Infinix feels like you guys deserve one.. So if you've been wondering and worried why you current Infinix smart phone isn't getting anything like an Android Pie update, well there you have your answers..
Read Also - Everything you needed to know about Infinix XOS and Google's androidOne Program. Alright, so that is it for today guys, let us know if you already got your update in the comments section below, and as for those who followed the steps above and couldn't see any update for their devices, i will urge you to be patient as it will surely get to your location, sooner or later. Infimi Note 5 Stylus has not been provided with Handwriting Recognition software and Calculator till now. Any idea when can I receive them ? Sorry about that bro... but on what version of Android is your Infinix Note 5 smart phone running on? have you updated it to the latest Android 9.0 Pie version? my infinix note 5 stylus has not received android version 9 update and i have clicked on build number to make a developer and checked my system update but i haven't received any android update till now.....can you help me out?? Relax bro, probably the update has not gotten to your location yet.. But it will definitely come maybe sooner or later.. so just take a chill pill, nothing is wrong with your phone.